In March we were joined by Dr. Frances Howard as she shared her passion for the historic daffodils of the Tamar valley. Tickets for this event had sold out very quickly, and those that were lucky enough to secure a place, were treated to a humorous and engaging illustrated talk from Frances. 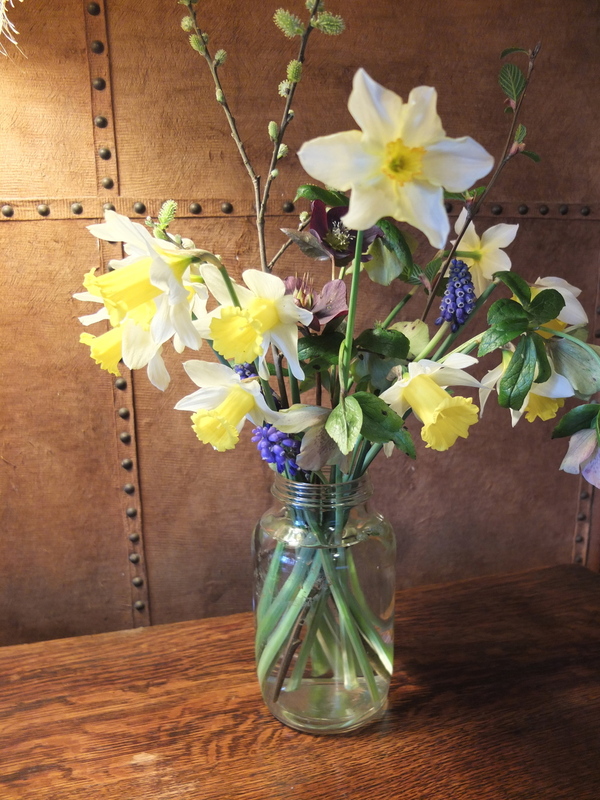 Several people had brought along samples of daffodils from their own gardens for Frances to identify, and we had a beautiful and varied selection of native Narcissus gracing the tables at Coombe Trenchard. After a well received two course lunch, guests were invited to walk around the gardens with Frances and myself, giving them them a rare opportunity to see the Spring flowers at Coombe Trenchard. Frances was able to identify many historic varieties, including one named Van Sion (The great double daffodil) which can be dated back to 1620. This pseudo narcissus has the double petaloids neatly within the trumpet or explodes as a shaggy puff.